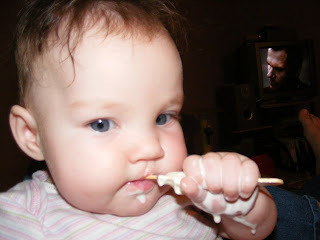 First taste of icecream... the mouth was going so much, dad gave up the stick, and this is the mess we ended up with!! Of course, it was almost bedtime, so we had to get completely changed and cleaned up! !